The house is awash with plaster – no room is safe from the brown sludge onslaught. 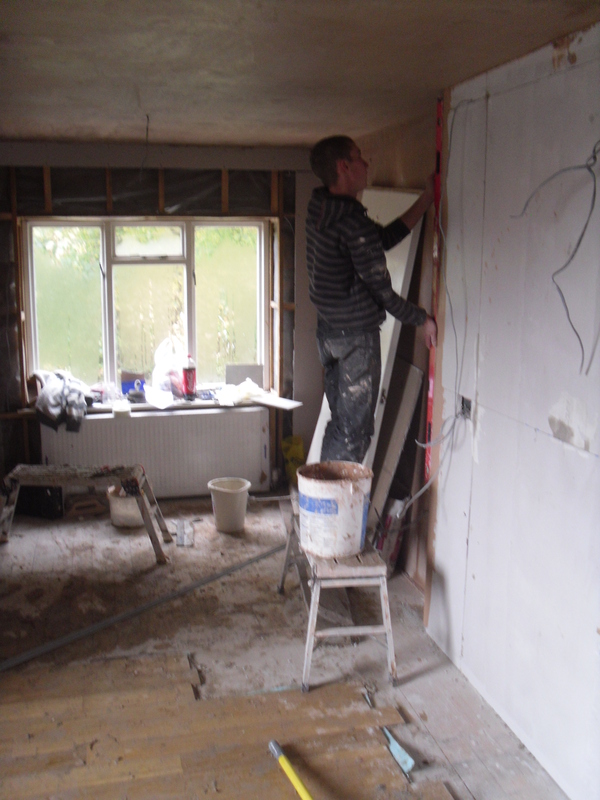 The kitchen has been stripped bare, plasterboard installed and now it is being plastered to smooth. Note the section around the window? It hasn’t been boarded or plastered because we are having two new double glazed windows installed in the kitchen. They are currently on order and will be delivered next Tuesday. The kitchen works are on hold til then but we’ll be back later in the week with an update of how we got from where we were. How smooth is the ceiling? Remember when it used to look like this? 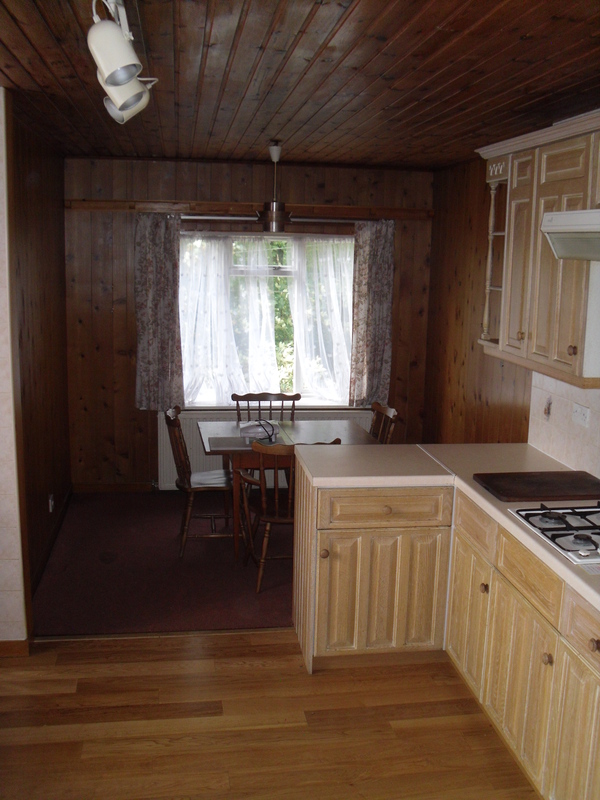 Say goodbye to the wood panelling, the old light fixtures, the high shelf, the old cabinets, the table & chairs and random jutting out bit of worktop.